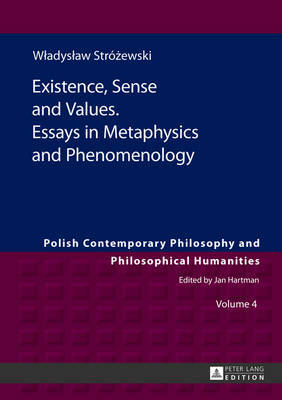 This collection of essays is about some of the most fundamental issues connected with metaphysics, theory of values and philosophy of man. In the first part of the book, the author is trying to answer questions concerning both the methodological status of metaphysics and the main subject-matter of metaphysical investigations. He convincingly argues that metaphysics is an indispensable domain of research that may help us to understand the world and what we experience in much better manner. In the next part, the author draws our attention to the problem of existence and the ways we experience it. The question on existence is definitely the central issue of this entire volume, also in the next two parts of the book where the author focuses on values, their origins and status as well as their relationship to human nature. What is particularly intriguing about this collection of essays is its unique and fruitful combination of different methodologies and traditions in one rich and persuasive picture of the most basic philosophical problems.